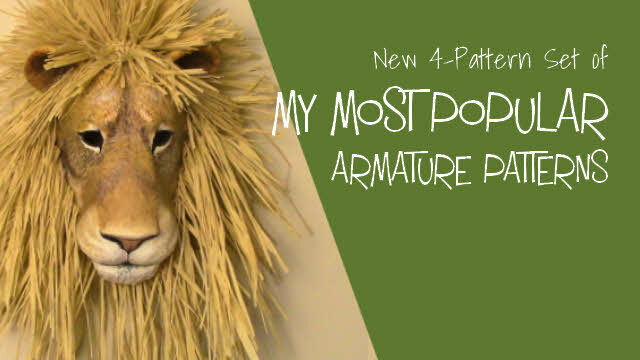 Four armature patterns for animal sculptures and masks. 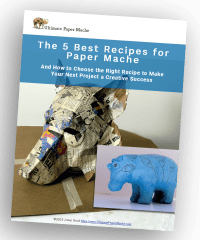 These patterns give you a fast start on the most popular paper mache projects on this site. 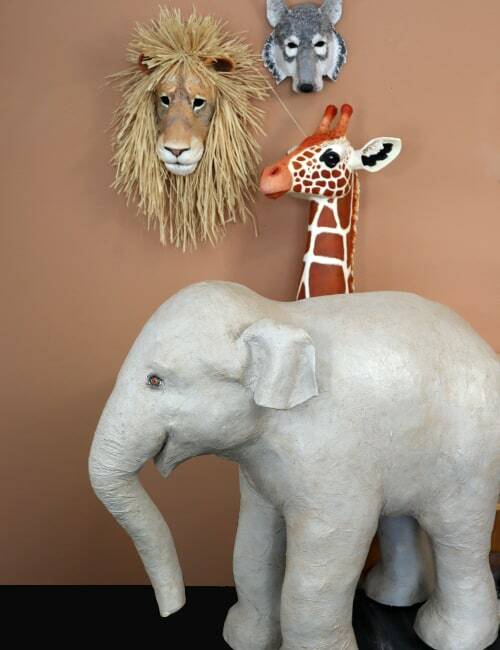 Included in this four-pattern set are the life-sized baby Indian elephant, the giraffe sculpture, and the wolf and lion masks (which can be worn or displayed on the wall). 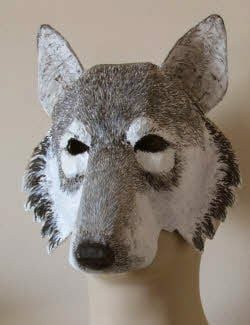 This set of downloadable patterns includes two different masks, the lion and wolf, that you can wear to a party or display on your wall (like I do). 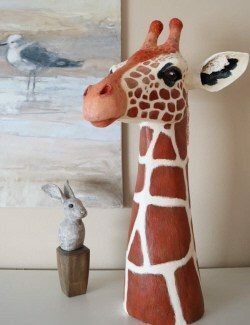 Also included are the giraffe, which stands on a shelf, and the life-sized baby Indian elephant. 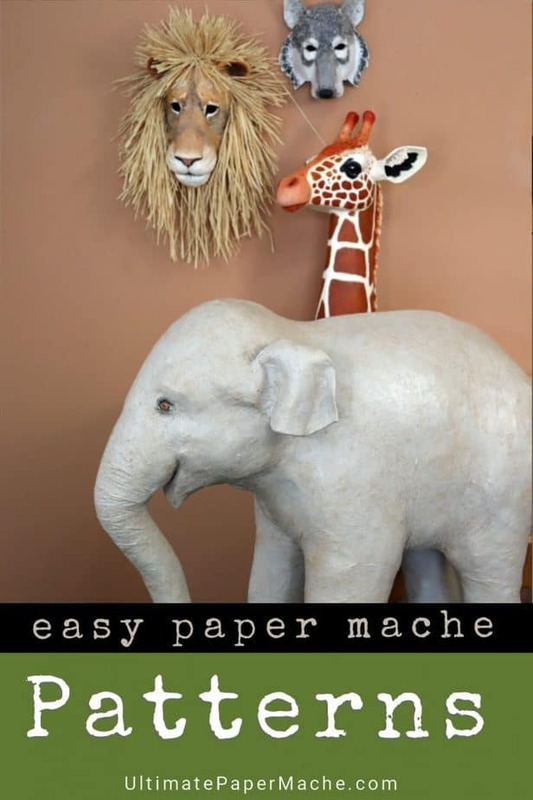 The patterns for the wolf, lion and giraffe will create all the shapes for you – just cut them out, tape the pieces together, and add paper mache or paper mache clay. Then paint them any way you like, to create beautiful one-of-a-kind works of art. The baby elephant is slightly more complicated – but don’t let that worry you. 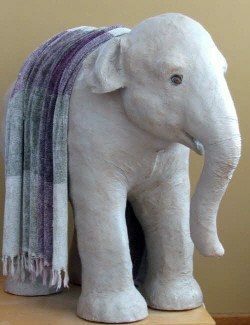 This pattern has helped thousands of people create a baby elephant of their own, and many of those folks had never sculpted anything before. The inner pattern shows you the shapes for the head, body and legs. You add crumpled paper and masking tape, following the instructions in the video, to fill out all the rounded forms. 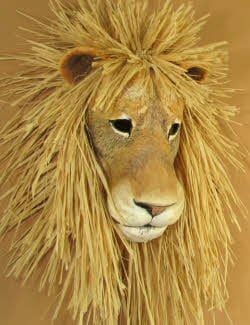 Then add paper mache, and paint. You’ll be able to download your patterns right after you order. You’ll also receive an email with the download links, and a separate receipt. The emails may take a few minutes to arrive. If you don’t see them, be sure to check your spam or promotions folder. And then come back to this page to get a great discount on the four-pattern set! I stumbled upon your youtube video a couple of days ago. WOW! I am new to polymer clay and “accidentally” watched a video you put out. I am so inspired by you. I wish I would have found your site years ago. I just bought some of your patterns and hopefully I won’t need to bother you with questions. I can’t wait to get started. I hope you enjoy creating your sculptures. Let us know how they turn out!